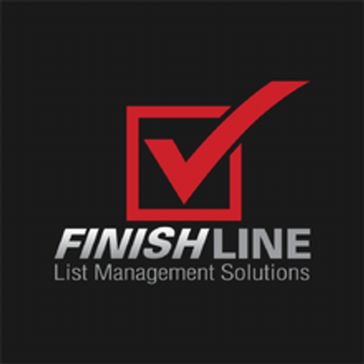 FinishLine is a list management solution for construction that allows you to manage punch lists, QA/QC, safety, field observation, warranty and completion lists. 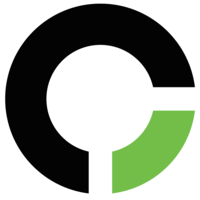 Followup CRM offers robust sales tracking software for the construction industry. Forsite is an app based solution that provides property owners confidence that their contractors are safe and compliant onsite. Granite Risk Management provides a full suite of construction risk mitigation and consulting services to manage the complexities of construction projects and reduce risk without compromising profit potential. HANDS HQ is web-based health and safety app that helps construction, installation and maintenance companies streamline the management of health and safety. HANDS HQs construction focussed software allows companies to complete risk assessments, method statements and COSHH assessments 80% faster than any other solution. 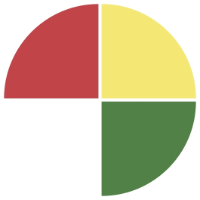 HANDS HQs aim is to empower the workforce to take control of health and safety with a simple tool that provides more engagement in an often laborious sector of work. HCSS Safety is a digital safety system with a web application, and a mobile app for tablets and smartphones. Health and safety software for CDM 2015 compliance. Produce industry standard docs written with leading field experts. Nothing missed out. Cut time wading through paperwork! Home Inspector Pro is software that makes it possible to complete inspection reports on site on either a desktop or a mobile device. Use Hotel Construction and Hotel Profiles to discover new opportunities, analyze markets and to create custom applications. House Flipping Spreadsheet provides house flipping software for house flippers, rehabbers & real estate investors. The House Flipping Spreadsheet is a Microsoft Excel & Google Spreadsheet Template that includes Deal Analysis, Repair Estimation, Project Management & Accounting tools for managing house flips and rehab projects from start to finish. Our Project Collaboration application connects your office, site and field-based teams with the latest design and construction information and allows for real-time communication throughout the project lifecycle. The systems powerful administration functions and intuitive user interface enables clients and their project teams to realise tangible benefits and cost savings over the traditional methods of documentation distribution and contract communications across your construction projects. nspection Planning Software Made For You. JDIO is a collaboration tool to bring all parties in the construction industry together. JGID is a smart & efficient business management solution for service based, specialist SMEs with 1 100 people. Brings top of the breed, reliable, innovative technology to our customer that empowers them to achieve their ideas and creations in most optimum way. Keep In Touch Builders CRM has been created by ACRIS Services. CRM solution geared towards project-driven organisations, as well as organisations focusing on customers and customer service. A cloud-based solution that allows you to manage assets using GPS tracking, maintain ISO certification, and keep timesheets. K-Ops is a cloud-based web & mobile application that adds intelligibility to your project data. It centralizes the project information within the application, which helps in the management of the job site throughout the execution to the final handover documentation packages. Using K-Ops will reduce project execution management costs through information centralization, transparency, accessibility, along with process enforcement, therefore facilitating effective management and decision making. LandDev is an operational system for the land development department providing development control. It helps to automate workflow, manage costs, monitor cash flow and job schedules to help manage cash flow needs and improve vendor relations. LaserList is a checklist app that uses barcodes to help you perform checklists accurately. It can be used as a simple tick list or to enhance a comprehensive, document based, check list system. A construction payments platform which facilitates the exchange of lien waivers, ACH payments, W9s and 1099s. LoanMomentum is a comprehensive software system developed for servicing residential and commercial construction loans. LoanMomentum offers a better way to manage the data inherent in construction lending. LynxPM is a construction photo documentation and management software program designed to help manage the way you upload, store, and share photos. MedicalConstructionData provides the entire picture of a sales opportunity through three reports- the Project Report, Company Report and People Report. Together they provide the information you need to win more customers, not just projects. Modelling, load and structural analysis, technical drawing, and cost estimation features all in the same software. MultiFamilyData is an important sales and marketing tool for professionals in the multi-family sector. It provides accurate, comprehensive information on apartment and condominium projects in the planning and construction stages all delivered in a powerful, easy-to-use interface. The Onsight mobile sales app allows your sales reps to use a tablet to manage client information, demo your product catalogue, create quotes and place orders. Managers can also track the team's sales activities. A secure, reliable cloud application, that displays well across all devices. This is a well designed database centric product that was developed especially for the needs of specialist contractors who install any type of equipment out in the field. Modules are provided as required by the customer. They can be deployed incrementally to ease implementation. Sales Management is the primary module. There are also Scheduling, Reporting, and Administration modules. Sales Management With a focus on the sales and estimating processes that specialist contractors typically follow. E.g. recording details about the site, specifying components, taking measurements, responding to tenders, and more. Site Scheduling Ensure you are at the site when you need to be with the minimum scheduling effort. Easily handle multiple fixes for a site, different installations and teams, activities required at different locations across a site, etc. Quotes & Tenders Monitor quotes, intuitively tracking all roles and relationships involved in a tender or project. 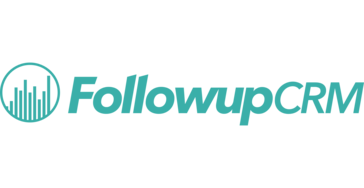 Track communications, documents and tasks, and ensure a continual 'following up’ with key contacts. Servicing Whether you need to do simple quality inspections in the field or keep detailed commissioning and servicing records of installed equipment, we can provide a module that make this very convenient for you. Reporting You need to be able to measure performance across your business. So we ensure powerful queries and charts of your data are available to you and tailored to your precise business need. Integration You probably have made other investments in IT. That's why we put an emphasis on integrating with other systems and other data according to your needs. Opta Management System features a fully encompassing range of functions to provide a complete company wide solution to all Torque related activities. Opta Management System includes Tool and Joint management, Quality Torque Auditing and Production data and much more. If you're looking for home inspection software that is fast, flexible and easy, Palm-Tech is the answer. Palm-Tech runs on the iPhone, iPad, Android phones and tablets, as well as, Windows PC's. Make the most of your time on-site and produce awesome looking reports with no extra effort by using Palm-Tech Home Inspection Software. PeopleTray is an easy-to-use cloud system that manages your team, projects, contractors and customers in a single online system.